The FDA approved Ambien in 1992. Ever since then, sales have skyrocketed, making this prescription sleep aid one of the best-selling drugs in America. It’s to be expected that, with such a high number of users, Ambien also tops the charts of most abused substances. The problem has only grown, with a recorded 13,000 emergency room visits in 2004 to over double the amount in 2008: 28,000 visits. It’s important to understand the dangers of the Ambien sleeping pill to combat potential health problems and, even, Ambien addiction. 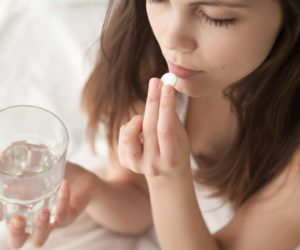 If you suspect that you or someone close to you is struggling with the Ambien sleeping pill, contact the friendly professionals at the White Sands Addiction Treatment Center Tampa at 877.640.7820 to find out more about the treatment options available. What is Ambien? What Does Ambien treat? Ambien is the trade name of a potent hypnotic called zolpidem, a Central Nervous System (CNS) depressant. Zolpidem is a nonbenzodiazepine sedative that belongs to a class a class of called imidazopyridine. Like benzodiazepines, the Ambien sleeping pill affects the GABA neurotransmitter, which is responsible for producing a calming effect. Ambien’s mechanism of action essentially works by decreasing brain activity, making it a highly effective medication to treat anxiety and sleep disorders. What Are the Dangers of the Ambien Sleeping Pill? 1. Using Ambien means you’re at risk of developing Ambien addiction or dependence. Ambien is a Schedule IV controlled substance in the US. While this means its risk for abuse is lower than other prescription medications, the risk still exists. Addiction occurs when you expose your body to a substance over a period, causing the brain to associate the drug with pleasure by activating the reward system. If you become addicted, you are likely to experience Ambien withdrawal once you cease taking the medication. 2. Ambien may cause extreme drowsiness. Ambien is a short-acting drug, with the onset of its effects usually occurring 15 minutes after ingestion. Its half-life is 2-3 hours, meaning if you take it to sleep, you may have trouble sustaining your sleep. The drowsiness can last until the next day. It’s not recommended that you operate heavy machinery while under the influence of the drug, because doing so can result in catastrophic accidents. 3. You may experience unusual sleep activity. Many have reported sleep walking, sleep eating, sleep driving, and even sleep shopping while under the influence of Ambien. This can seem harmless at first, but performing any of the above without being conscious can lead to severe health risks and consequences. 4. Ambien use can cause altered mental status. Some people who’ve taken Ambien report side effects such as depression, confusion, abnormal dreams, loss of memory, altered consciousness, hallucinations, and mood swings. While these are usually rare effects, they can be extremely stressful and frightening to experience. If you experience any of them, you should contact the doctor who prescribed the medication immediately. 5. It’s recommended that you use the Ambien sleeping pill no more than five times a week for a maximum of three months. Using the medication for longer has been linked to an increased risk of Ambien dependence and Ambien withdrawal, recurring sleep problems such as rebound insomnia, and other serious side effects. Overcoming addiction may seem like an insurmountable feat, but it’s achievable if you get the proper treatment and help. The White Sands Addiction Treatment Center Tampa has experienced professionals qualified to get you comprehensive addiction treatment if necessary. Call 877.640.7820 to get more information. ← What Happens to Your Body When You Overdose?